• This book is especially prepared for the students of B.Sc. and M.Sc. of different Indian Universities as per UGC Model Curriculum. Students, preparing for Medical Entrance Examination, IAS, IFS, and PCS etc. will also be benefited by this book. At the end of some chapters of Genetic Engineering may enlighten the target readers. • Entirely new information on Quantitative Genetics and Immunogenetics may enthral the readers. MCQ's ans answers will also be helpful for the students to strngthen their self confidence. 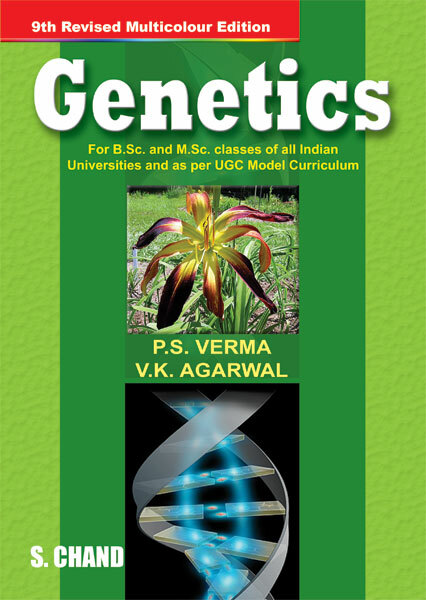 By the help of numerous figures, many tables, boxes and coloured photographs, this book has tried to serve a balanced account of Classical Genetics and Modern Molecular Genetics. • This book is for Graduate, P.G. students of Biophysics, Microbiology& Biological Sciences.